Jim Finkle’s report ‘Hackers halt plant operations in watershed cyber attack’ (1) published on December 14th, 2017 on Reuters made me curious and nervous at the same time. The report deals with a cyber-attack on Safety Instrumented Systems (SIS). 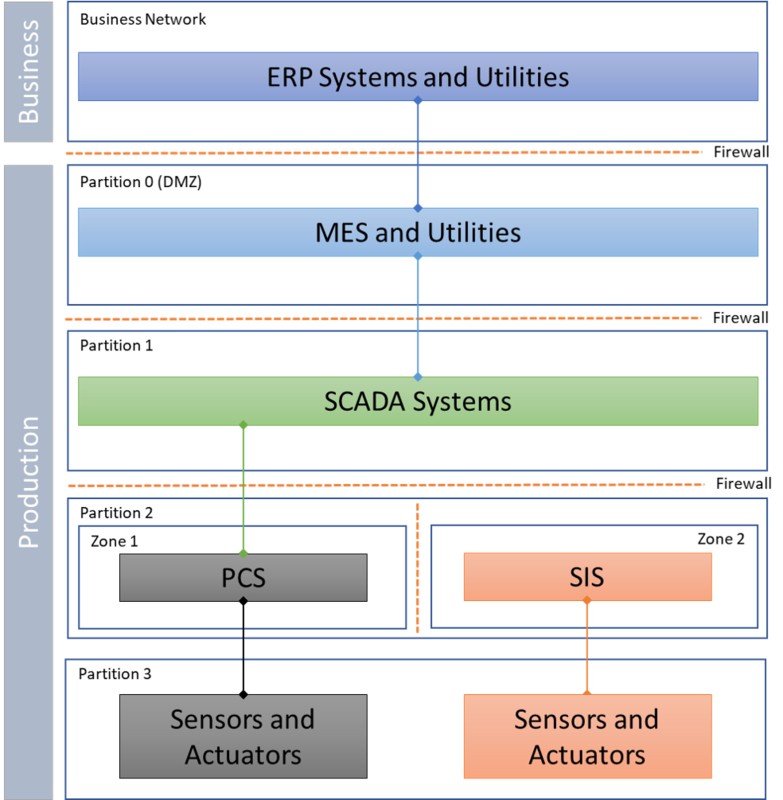 SIS work independently of the Process Control Systems (PCS). They guarantee that the industrial process, e.g. a reactor or a cracker, can be safely shutdown if the PCS can no longer control the process. Since compromising an SIS may cause significant negative effects on people and environment, the most important task in Production IT Security is to prevent cyber-attacks on SIS. Although the attack was intensively discussed in the media and by security researchers many questions are still open. With this three-part blog series I like to examine some details more closely. A detailed attack analysis gives IT security strategists the chance to derive improved means for protection of SIS. FireEye named the malware TRITON (2). Triton is an attack framework created to interact with Schneider Electric Triconex Safety Instrumented Systems. Other sources name the malware TRISIS (3) or HATMAN (4). With this, the IoC was: A production process was shutdown by the SIS although no indicators for a failure condition were signaled by the PCS. At least the SIS Engineering Station must be accessible from the network. The FireEye (2) and Dragos (3) report confirmed that this was the case. From the FireEye (2) and Dragos (3) analysis it is clear, that this was a sophisticated attack. In-depth knowledge of Schneider Electric Triconex SIS and network intrusion technology is required to perform such kind of attack and stay undetected for a while. This indicates a state-sponsored threat actor. The cyber attacker worked his way through the business DMZ, the business network, the production DMZ and the production partition 1 to the SIS engineering station in zone 2 of production partition 2, without being noticed by any security device, SIEM or endpoint protection. That is truly amazing. It seems like some basic protective measures were either not fully in place or misconfigured or no one checked the logs regarding IoC and IoA. From my point of view this sounds very unlikely and mysterious. I will present some alternative access scenarios in part II. This entry was posted in Opinion, Puzzling discussions and tagged Hatman, Industrial Control Systems, Nation State Actors, Safety Instrument Systems, SIS, Triconex, Trisis, Triton on March 4, 2018 by Klaus Jochem.